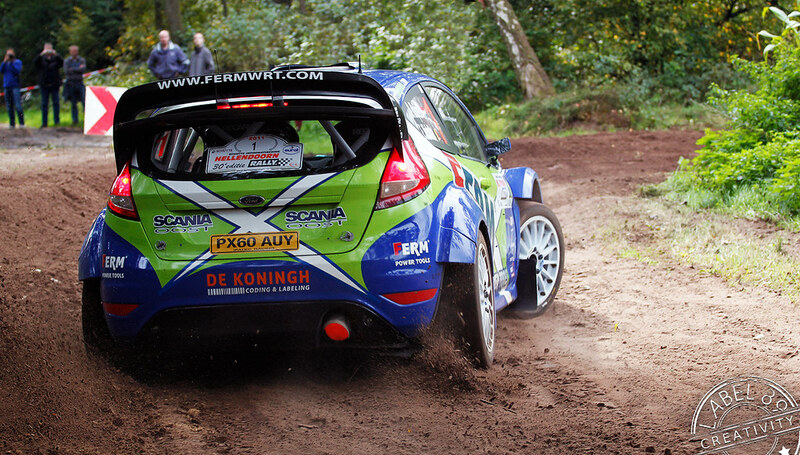 In Europe, pretty much all race cars are required to run a catalytic converter or two. BTCC, WTCC, WRC, WEC, Le Mans, you name it and the rules require a catalyst as part of a functioning emissions control system. 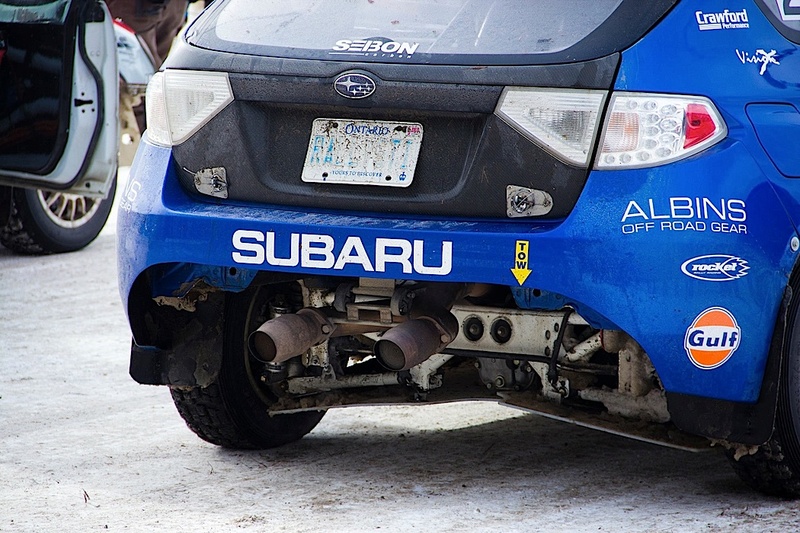 Meanwhile, here in North America, most racing series allow a completely open exhaust system with no emissions components onboard, although rallying here does still require them since rally cars must transit on public roads. Seeing the catalyst at the very end of the exhaust system on pro rally cars with the core glowing red-hot is particularly cool. And the rally guys don’t just do this to make a fashion statement, since installing the cat at the end of the exhaust system helps protect the catalyst from the extreme heat a small displacement, anti-lag turbocharged engine produces. Overheating the cat isn’t normally a problem on a road car, and in fact you see the primary catalyst built right into the exhaust manifold more and more these days to get it up to temp and functioning properly as quickly as possible as a way of reducing startup emissions, but on a race car producing exhaust gas temps in excess of 1000-degrees Fahrenheit it’s not uncommon to melt the cat’s core if it’s not constructed from the most durable substrate or positioned far enough downstream. 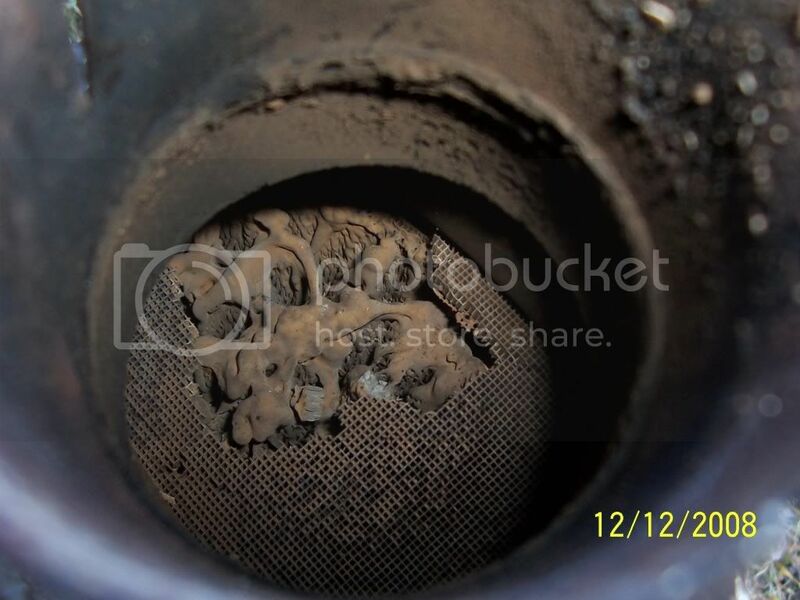 But how exactly does a catalytic converter take noxious exhaust fumes and scrub them of their most harmful components as they move through the exhaust system? 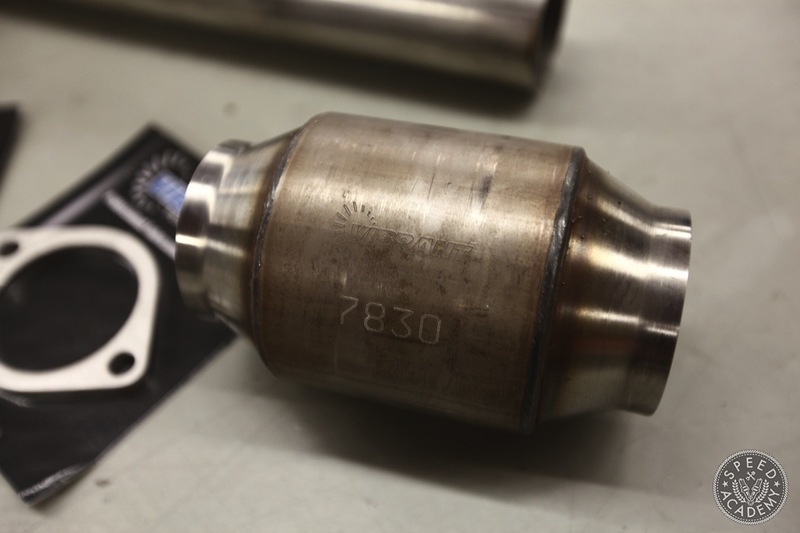 And how restrictive is a high-quality motorsports-grade catalytic converter like Vibrant Performance’s GESI units compared to running without one in the exhaust system? 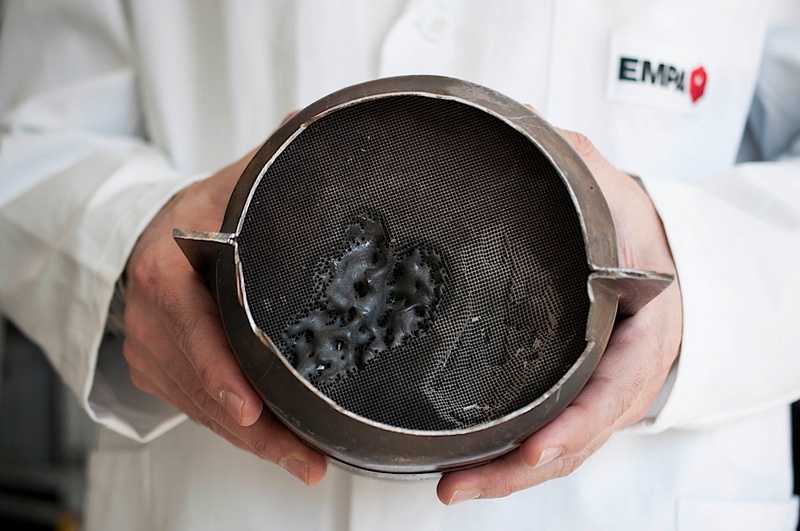 As you’ll see in the video above, these metal substrate cats support up to 1700-hp while meeting emissions standards in every jurisdiction in North America and helping reduce emissions by up to 98%. Nothing but winning right there. As the GESI video explains, the automotive catalyst causes two different types of chemical reactions, a reduction catalyst and an oxidation catalyst, the result of which is converting all those nasty yellow particulars in the image above into those harmless blue ones on the way out. 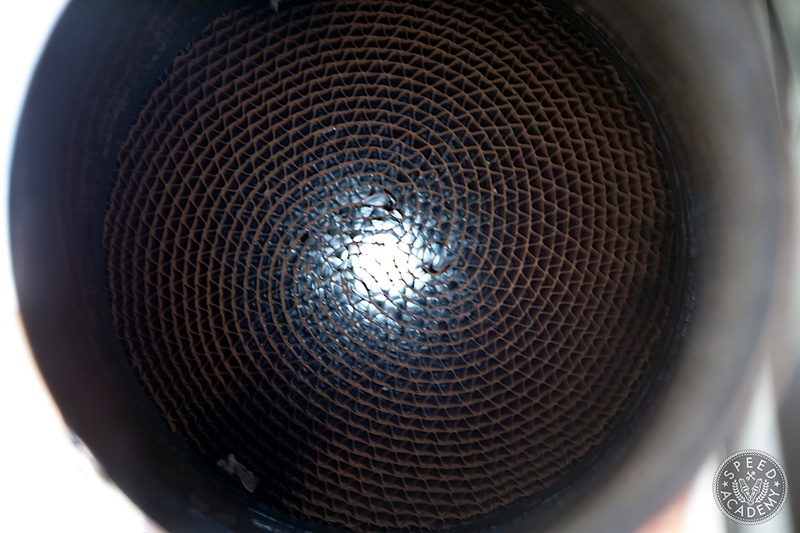 At the heart of a modern-day, automotive catalytic converter is a ceramic substrate or metal substrate that looks a bit like a honeycomb matrix and is designed to expose the exhaust gases to as much catalyst-coated surface area as possible. Further increasing the surface area of the core is the application of a washcoat mixture, including silica and alumina, which leaves a rough and irregular finish on the honeycomb’s surfaces. 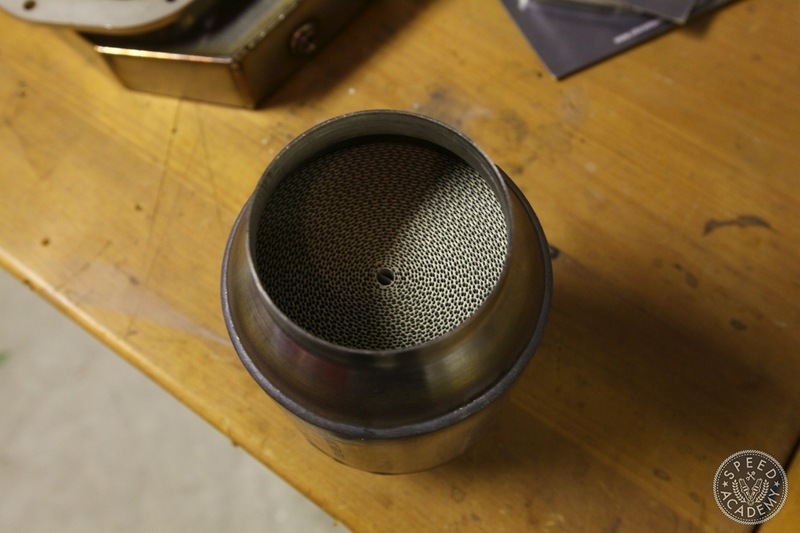 The catalysts themselves are also a part of this washcoat and are made up of a mixture of precious metals, including platinum, rhodium and palladium, all of which are the exotic triggers for the desired chemical reactions (oxidation and reduction) necessary to transform the nasty emissions from a gasoline engine into far less harmful ones. This dude looks way smarter than us. 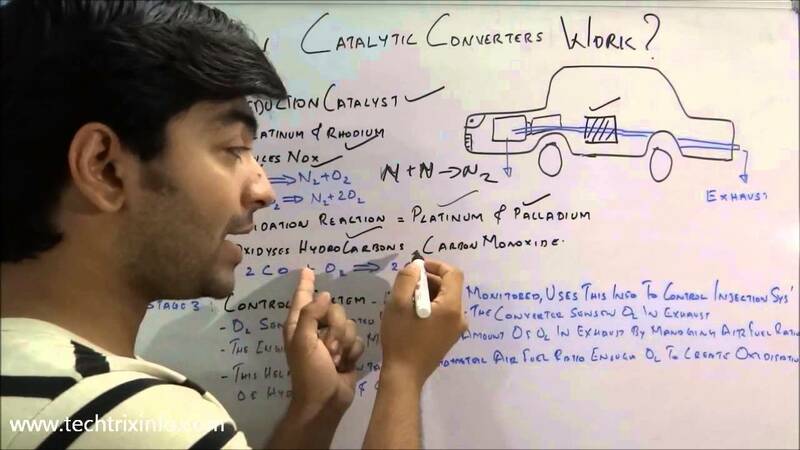 These days a gasoline-powered vehicles has two catalytic converters onboard (a primary and secondary cat) designed to oxidizes carbon monoxide (CO) to carbon dioxide (CO2), hydrocarbons (HC) or volatile organic compounds (VOCs) to water vapour (H2O), and reduces nitrogen oxides (NO and N02, together called NOX) to straight nitrogen (N2) and oxygen (02). Carbon monoxide is a poisonous gas, whereas carbon dioxide is relatively benign, although it is believed to contribute to global warming. Hydrocarbons or VOCs are a major component of smog, produced mostly from unburned fuel, whereas water vapour is completely harmless. 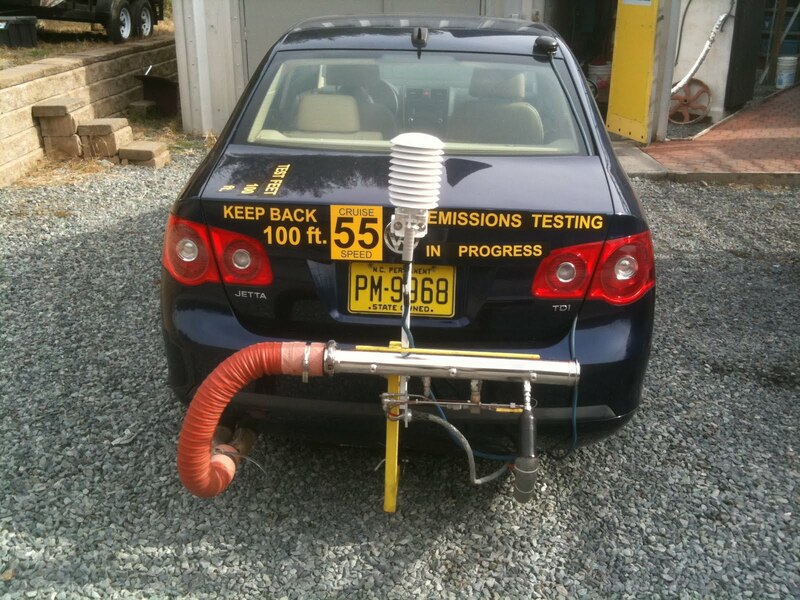 Nitrogen oxides are also a contributor to smog and acid rain, while straight nitrogen makes up 78 percent of the air we breathe and is a harmless by-product of well-catalyzed exhaust gases. Conversion rates of the three harmful combustion emissions are as high as 98% these days, with complete conversion only being possible if the air-fuel ratio is at or slightly above the stoichiometric air-fuel ratio of 14.7:1. But the reality of driving is that with infinite engine loads and throttle positions comes variation in the air-fuel ratio, where a lean or rich condition results in some pollutants making it to the atmosphere. When a rich condition occurs (excessive fuel in the exhaust gases), the reduction of NOX is favored, but CO and HC emissions increase. Conversely, when a lean condition (more oxygen than fuel in the exhaust gases) exists, the oxidizing reaction is favoured such that CO and HC emissions fall but the reducing reaction is inhibited and NOX emissions increase. If (or when) fuel-management systems become so sophisticated that variation in the air-fuel ratio can be kept at a constant stoichiometric point, we will, in theory, be able to achieve an emissions conversion rate of 100%. I’m pretty sure we’ll see this before the combustion engine is completely replaced by electric motors or hydrogen motors, but time will tell. All very interesting for the tree-hugging chemistry geek in you, but the good news is that you can do all this good for Mother Earth catalyzing on your fast road car or race car thanks to the availability of true high-performance GESI catalytic converters from Vibrant Performance you can have your Green Revolution cake and eat it, too. 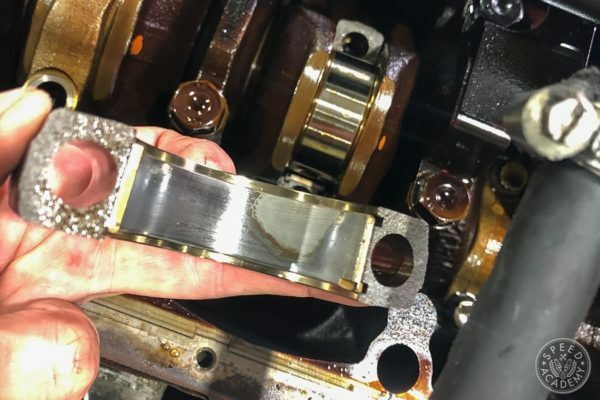 In fact, independent dyno testing has repeatedly proven that most engines produce just as much power when equipped with properly sized high-efficiency catalytic converters as they do when running through straight pipes. 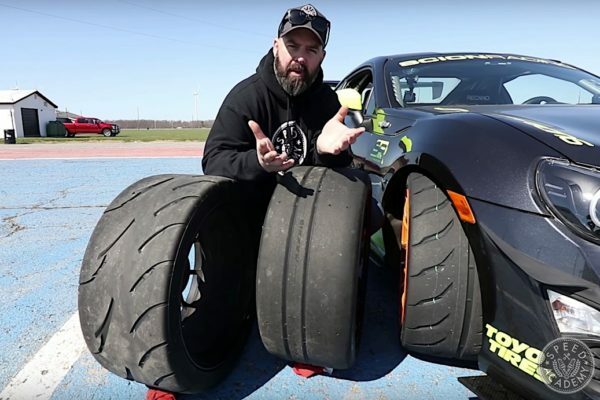 I’ve seen this in my own dyno testing experiences as well, where cars equipped with a motorsports-grade catalytic converters made just as much power as with an open exhaust. 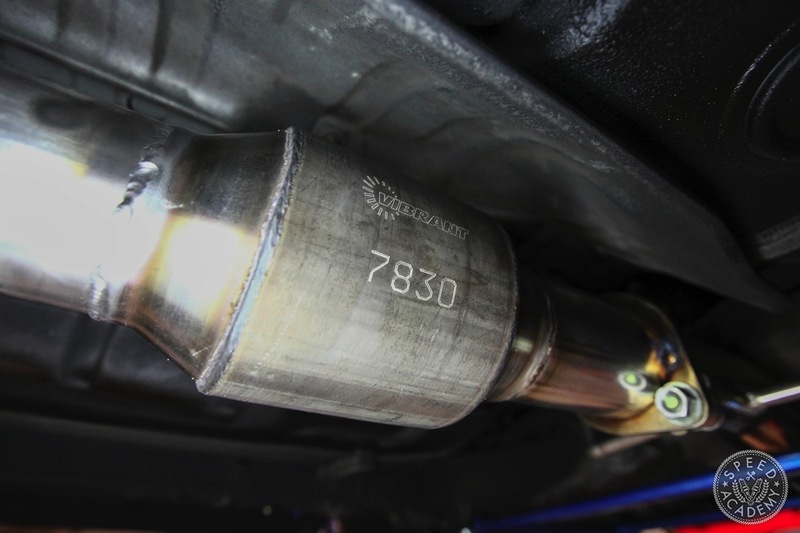 That said, it’s important to understand that there’s a lot of relatively low-grade aftermarket catalytic converters out there being marketed as “high-flow”, but the truth is not all aftermarket catalytic converters are created equal. Sadly, aftermarket catalytic converters don’t have to meet the same test requirements as an OE converter. So you really have to do your homework when buying an aftermarket cat, especially if you’re looking for something that will not only function properly and flow well but also survive in the very high heat environment that comes with racing. metal substrates like those used in Vibrant GESI cats have a meltdown temp of 2800 degrees. Part of the science behind the best high-performance cats on the market involves the use of a metal substrate or core. Compared with a ceramic substrate, you can see that the metal core is far less restrictive in nature, thanks in large part to the thinner wall structure that is obtainable with metal. 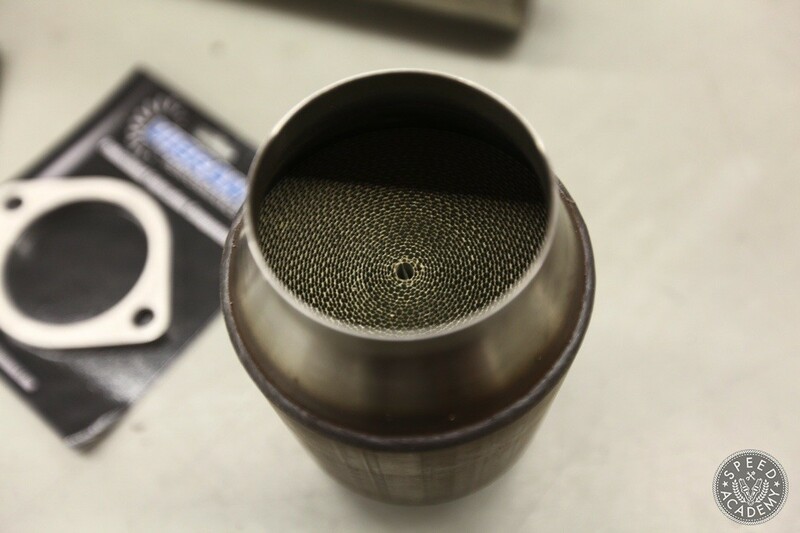 By using thin gauge metal for the honeycomb matrix, airflow is increased (and backpressure reduced), but there is no loss of surface area relative to a ceramic core, so the metal substrate can still perform its emissions function just as well as a ceramic core. In fact, metal cores experience 15–30 percent less backpressure than a ceramic core of the same size and cell density. Metal cores also offer higher thermal and mechanical resistance and have a shorter light-off time (meaning they reach optimum operating temperature more quickly), plus a metal substrate has a much higher meltdown temp so are able to survive and function properly in the most severe motorsports environments. Designed properly, flow rates can be maximized not only through the use of thinner cell walls, but also by changes to the size and shape of the core and the length of the cells within the core as well as by optimizing the shape of the casing. A common misconception held by many performance enthusiasts is that cell density is the only factor that significantly affects converter flow. However, substrate length is equally influential. A converter must present sufficient surface area to the exhaust stream if it’s to adequately control exhaust emissions, and exposed surface area is a function of both cell density and length. Although 100-cell per-inch “high-flow” cats may seem like the hot ticket if you’re after max horsepower, they often do not have enough surface area to achieve the conversion efficiency necessary to meet emissions control requirements. The solution is to use a longer substrate, but when you do that, you can end up with a 100-cell converter that has a lower flow capacity than a 300- or 400-cell converter. So don’t be fooled into thinking that a low cell count automatically means a freer-flowing cat. A well-engineered 300- or 400-cell converter can be less restrictive while offering far superior emissions conversion rates at the same time. If you’re willing to invest in a high-quality, high efficiency aftermarket catalytic converter, you can free up considerable horsepower while still keeping Al Gore, the Green Party, and the EPA happy. But given that there’s added expense involved in properly researching and developing a high-flow cat that really is high flow, don’t expect to buy one at discount muffler shop price. The slightly larger investment for a high-quality cat is more than worthwhile, though, given the significant improvements you’ll see in exhaust gas flow rates and horsepower production. 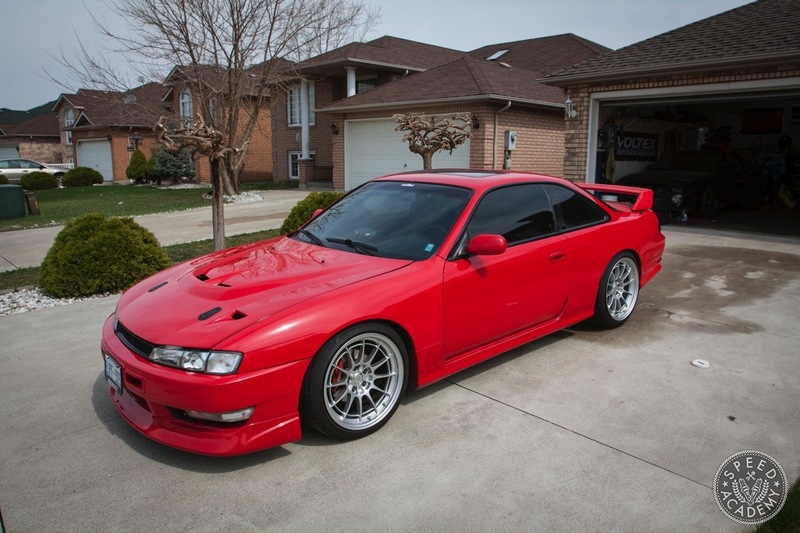 Plus you’ll also get significantly better longevity and durability if you pony up for a true motorsports grade catalytic converter like we did when equipping our S14 with a Vibrant High-Out GESI metal core unit, since the metal substrate can take the heat and the high quality washcoat will scrub those nasty pollutants. So, unless you’re being a cheapskate, there’s really no reason to run without a catalytic converter on your car these days, because modern high-performance cats rob virtually no horsepower. 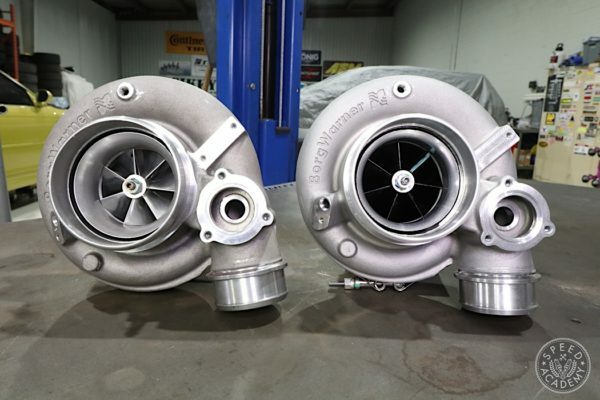 I’ve done a lot of dyno testing of exhaust components over the years, and high-flow cats certainly do free up a fair bit of power over the average OEM catalyst(s), as you can read about in my G35 Power Adders story. But a test pipe (or cat-delete pipe) generally gains little to no power over a properly engineered high-performance cat, so running without one just doesn’t add up to me. Plus you’ll feel good about racing clean. Do it for the kids! And the polar bears! And even those annoying bearded hipsters! And Why Racers Should Play Clean"
Hmmm interesting. I was just having a conversation with a friend about this topic. 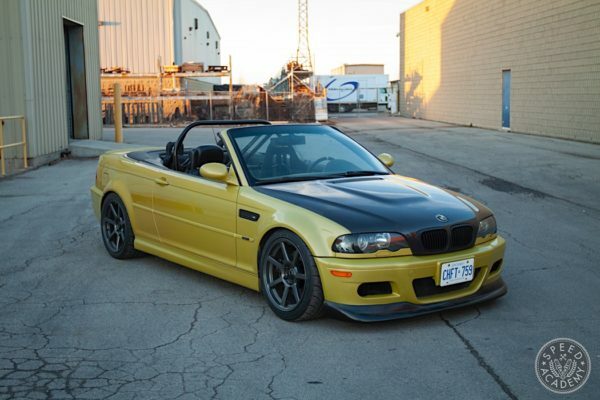 Its not an easy task picking out a cat for a turbo rotory. I really want to pick up a large HJS unit but they are a bit cost prohibitive. That’s why the Vibrant GESI unit is such a great solution. It can handle the heat of a Rotary and still is affordable enough to not kill the entire budget. Not sure about the RX-8, but curious to know if this cat would make the FD smog legal without the use of the factory airpump. 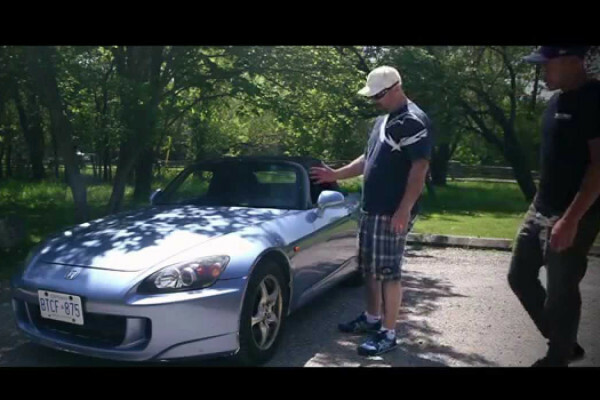 Does your RX-8 pass smog tests with this cat? If so, do you have the factory airpump or not? While I’d love to use a high-flow cat, again +1 on turbo rotary – up to 1800 degrees or fail.